The Aadhi Yogi Alayam will be a tremendous instrument to offer a spiritual possibility to every human being on the planet and allow people to experience at least “one drop of spirituality” in their lives. The Aalayam will be an 82,000sq.ft column-less hall with a unique blend of ancient and contemporary architecture, which can accommodate over ten thousand people. For the very first time in the history of humanity, we have the necessary capability, resource and technology to address every human problem on the planet. The only thing that is missing is human consciousness. If this one thing happens, we can create a truly beautiful planet. The Aadhi Yogi Aalayam will be a tremendous instrument to offer a spiritual possibility to every human being on the planet and allow people to experience at least “one drop of spirituality” in their lives. The Aalayam will be an 82,000sq.ft column-less hall with a unique blend of ancient and contemporary architecture, which can accommodate over ten thousand people. “When Dhyanalinga consecration happened, I was young and hardly understood anything about it. The day Sadhguru spoke about Aadhi Yogi Alayam, saying that this is an opportunity to be a part of this wonderful happening, I was so thrilled and excited. “After reading Sadhguru’s words about the Aadhi Yogi Aalayam in Kaattu Poo, Sep 2010 issue, my mother said to me, ‘One of us should be a part of this.’ Inspired by this I came to ashram, where I happened to be in a meeting with the head of the construction department. 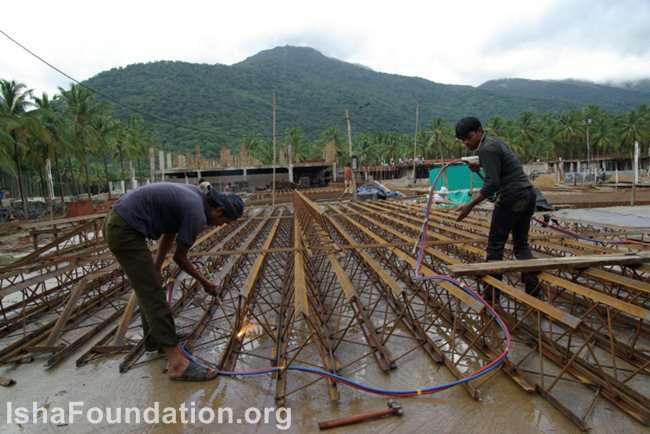 After he explained the project in detail as to what Sadhguru’s vision for the Aalayam is, I was ready to go and join the construction team itself! 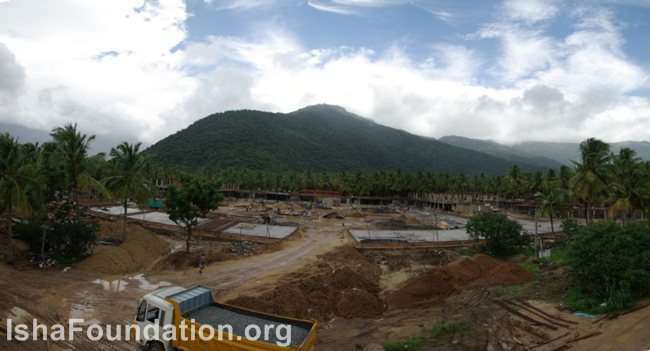 After the Bhoomi Pooja on April 21st this year, the construction of the Aadhi Yogi Aalayam is almost half completed. The first major program to happen in the Aalayam will be Mahabharat-Saga Nonpareil, an opportunity to experience the grandeur and adventure of this timeless epic under the guidance of a living master. Aadhi Yogi Aalayam is the first of its kind in an effort to create infrastructure for raising human consciousness...for sure Aadhi Yogi Aalayam will become a powerhouse of transmission and transformation. 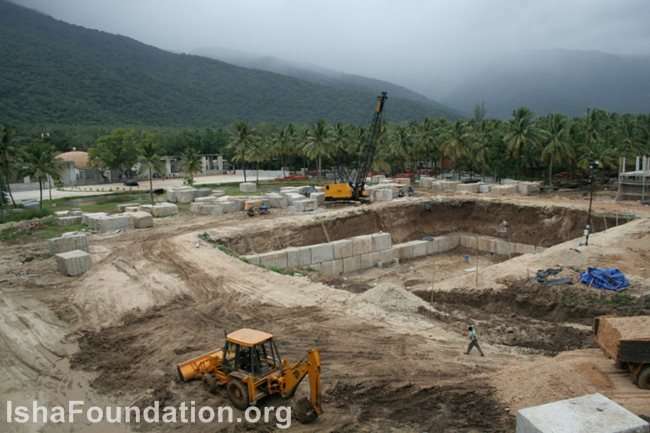 You can also be a part of making the Aadhi Yogi Alayam a reality. Give Isha an opportunity to “virtually participate” in this historic happening by either being a fundraiser or a donor. As a fundraiser, you can create your own fundraising page on GiveIsha for your chosen project, intimate your family, friends and colleagues about your fundraising intentions, and encourage them to support your efforts. You could raise funds on your birthday or wedding anniversary, or even when you run a marathon. As a donor, you can check out how your favorite projects and fundraisers are doing and donate to them. 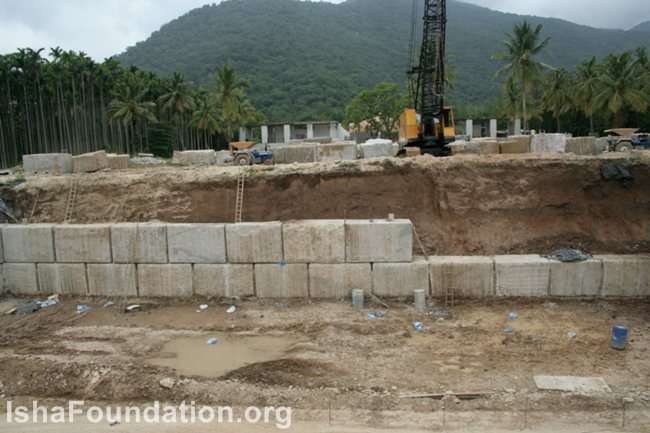 You can keep track of your total donations, and get regular updates on the progress of all Isha projects. really i am very broud to live in this period(near to sadhguru's padham.). is beyond all acceptance and rejection. and self-will and pride will vanish into nought. Week in Review - Live Updates of Isha Yoga with Sadhguru in Chennai - Over 14,000 Attend!